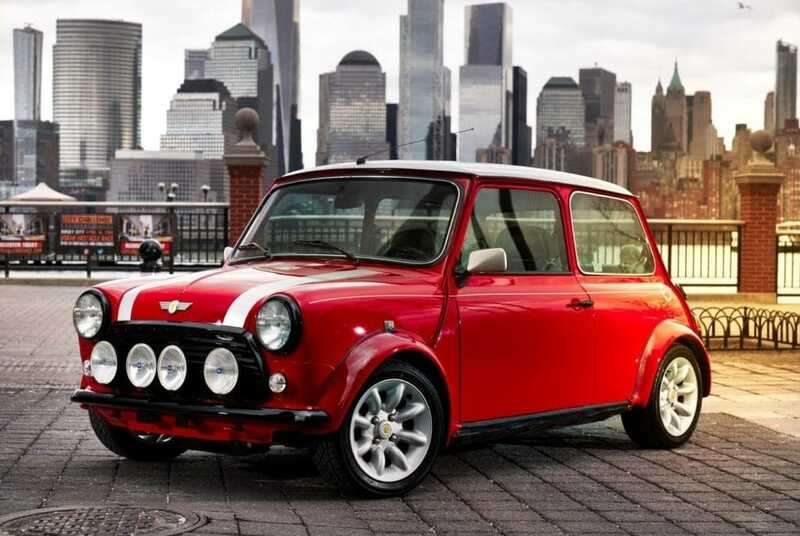 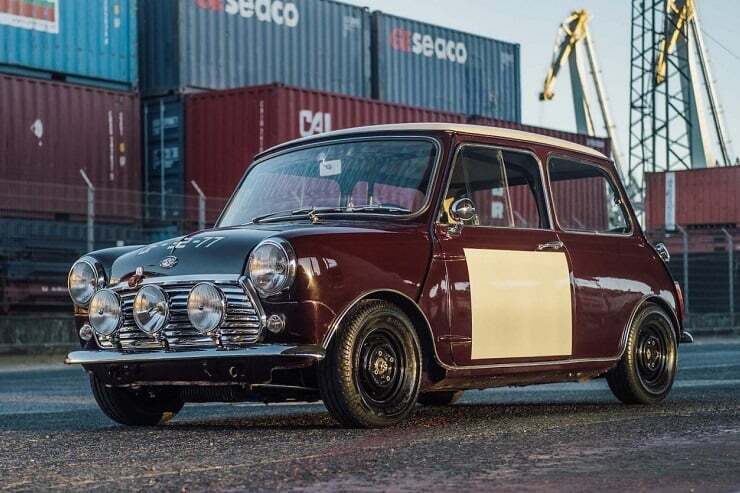 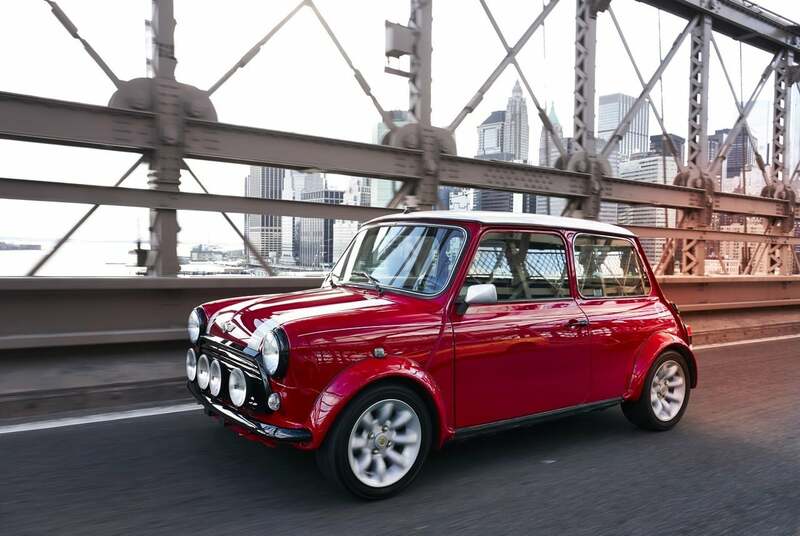 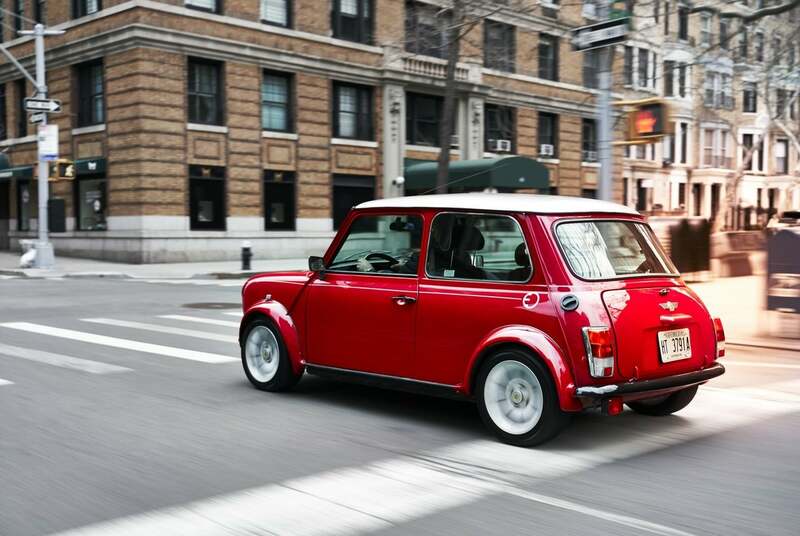 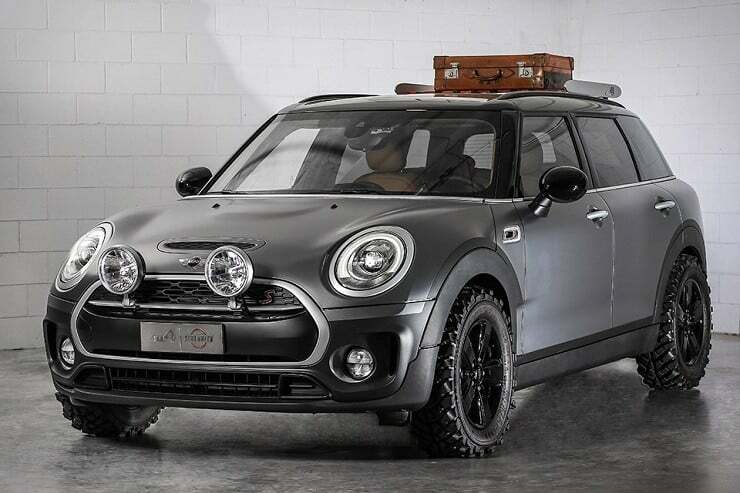 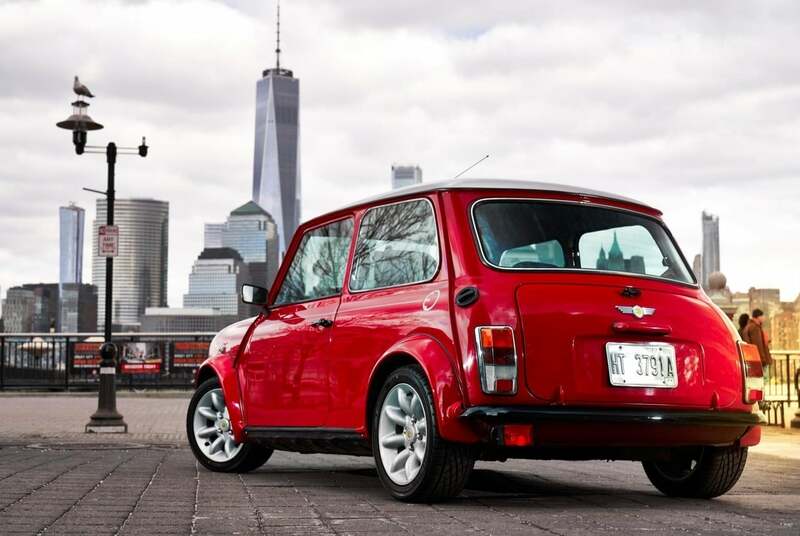 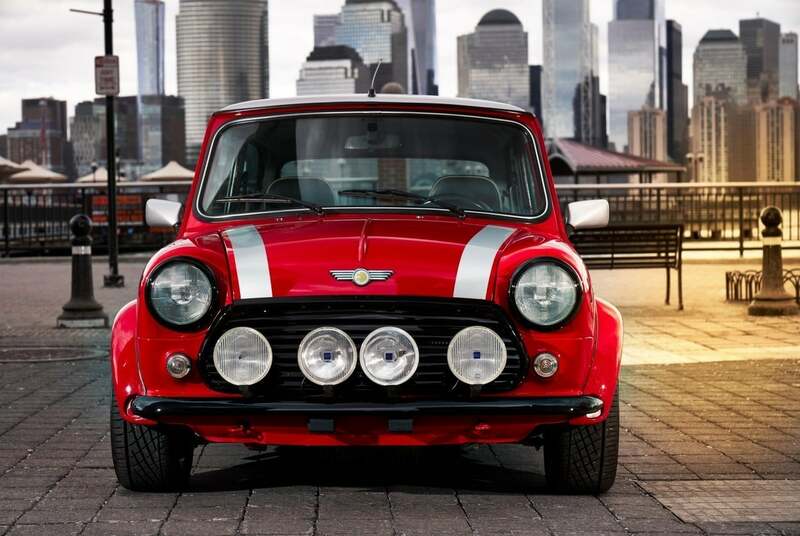 Don’t get your hopes up yet–this delicious-looking Classic Mini Electric is not for sale; it’s a one-off model that is most likely to never reach production. 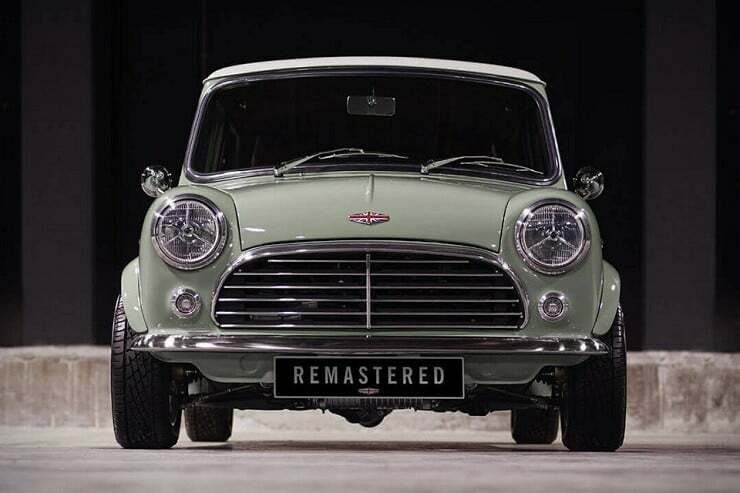 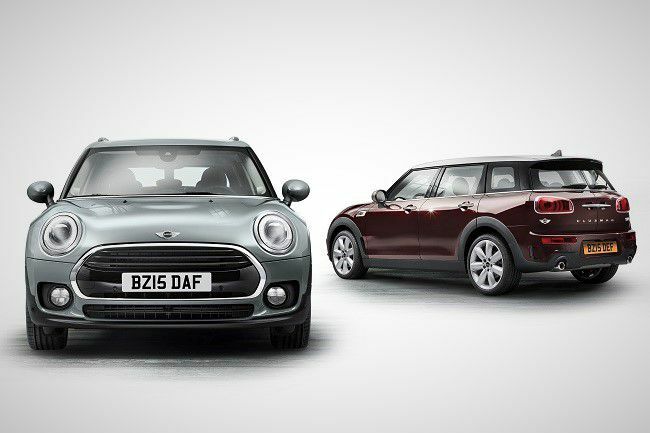 Still, it serves as great inspiration for those looking to electrify their vintage Mini’s. 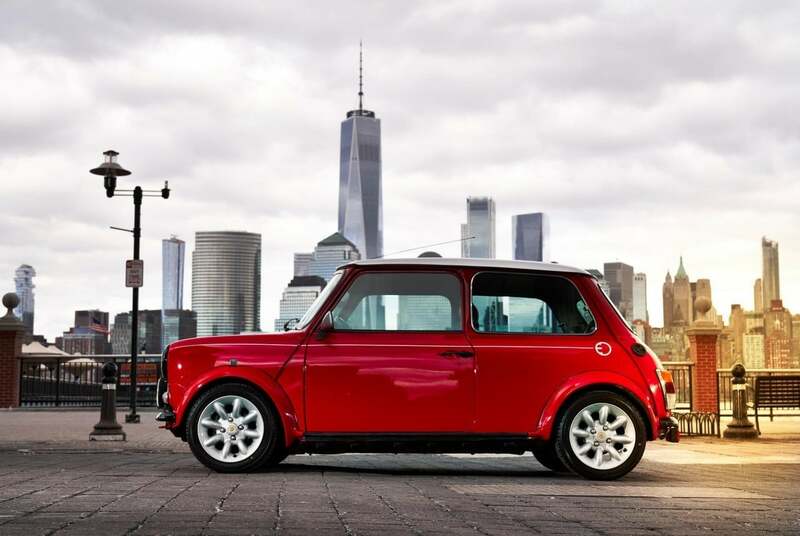 Unveiled at the ongoing New York International Auto Show, the unique vehicle illustrates the British marque’s commitment to sustainable urban mobility. 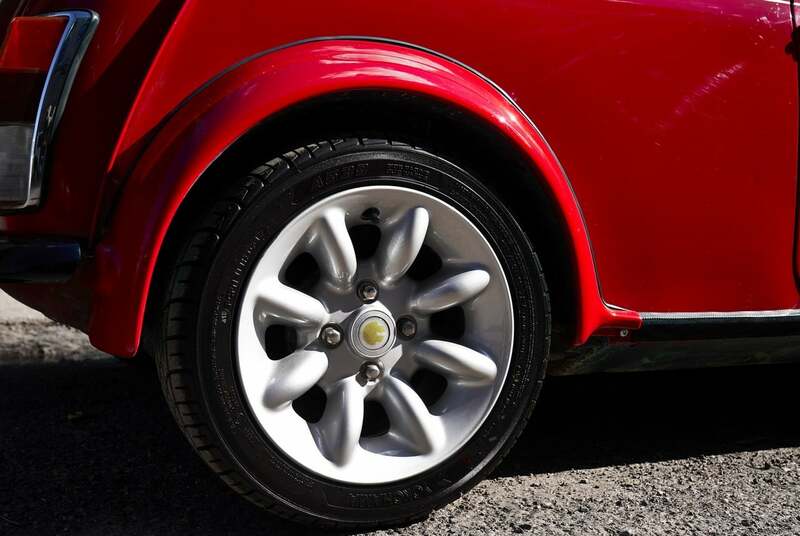 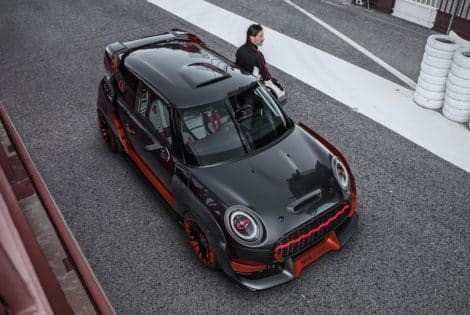 Its electric motor (of which we know nothing about) is touted to match admirably the go-kart handling experience of the original, while the look is spot-on 1960s icon, with a retro red color and characteristic silver roof, bonnet strips and matching wheels. 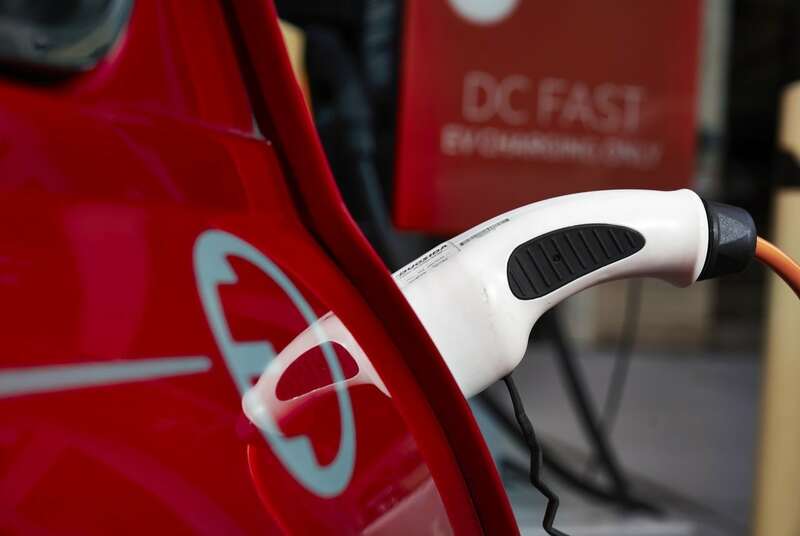 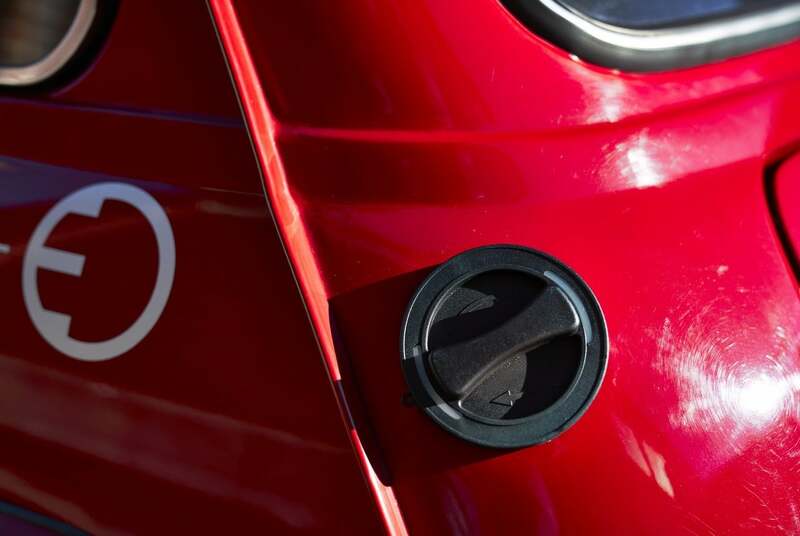 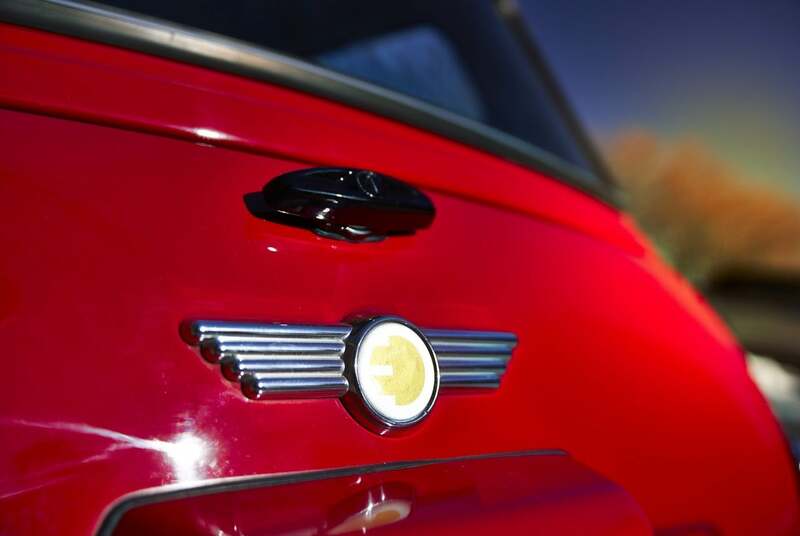 The only visual details giving away this Mini’s electric nature are a few plug logos placed on the body and a charge point instead of the petrol cap.